When creating a website, the main goal is to get noticed. The best way to get noticed is to ensure that your site is ranked well on Google. For newbies, this can be difficult to understand or may be confusing. 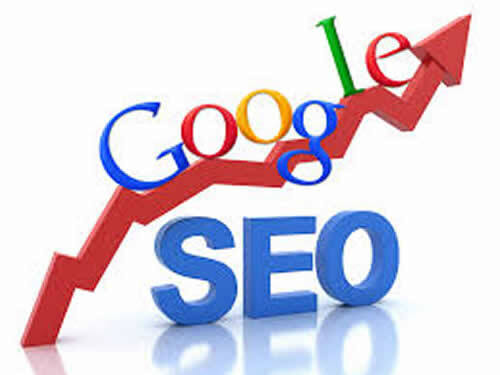 Learn more about search engine optimization, or SEO, and how Google ranks websites will help you to better understand how to move your website up in rankings and get noticed. Keyword Research: You must do your due diligence to find quality keywords that will help you move up in Google Rankings. Link Building: It is also important to work on link building with partner sites to help you get noticed via links in blogs or other websites. Sitemap Optimization: This section covers the XML file consisting of your individual webpage URLs. The Sitemap should consist of keywords to get your site noticed. Software Development: Working with a developer, you can have software created for your website specifically to assist with growth in Google Rankings. Web Design: The design of your website must be easy to navigate as well as visually appealing. Feedback: You need to take in feedback from your current website visitors as well as developers or other professionals to see what might be changed to create a better site. Strategy: This category focuses on having a long-term business plan that will focus on how to create and develop an online presence. Social Network: Do not forget to connect your site to social networks such as Facebook,Instagram, and Twitter. Using these social sites will help to get you noticed. Content: Having quality content on your site is key. Not only for your main pages but also a quality blog. Traffic Monitoring: Keeping track of your regular traffic will help you to decide what changes need to be made to increase those numbers. Website Optimization: This category uses controlled experimentation to improve the ability of the website to drive the goals of the company. A website that ranks within the first page of a Google search result for a search term are sites that Google determines is the most relevant as well as useful. A complex algorithm is used to determine the ranking, using over 200 factors as a guide. Google does not openly offer these factors but with research and testing by SEO advisors, ranking factors have come to light. From keyword usage to site structure, site speed, the time spent on a site, inbound link number and quality as well as mobile usability are all factors. The goal of a website owner needs to be to look at the key SEO points listed above and create a website that is built with quality content, keywords, and an appropriate structure. An SEO specialist or website developer can easily help website owners create a site that will start to move up the rankings on Google. Knowing the right steps to take is key to changing your overall ranking. Consult with a professional to have your site evaluated to see just what you can do to appear on the first page in a Google search. ← Can Developers Help Generate More Traffic to Your Site?